THE 5 (FIVE)THINGS YOU SHOULD KNOW BEFORE 2019 JAMB REGISTRATION BEGINS. Reading this post means you want to sit for the upcoming 2019 JAMB UTME exam. I personally congratulate you for being at the right place. 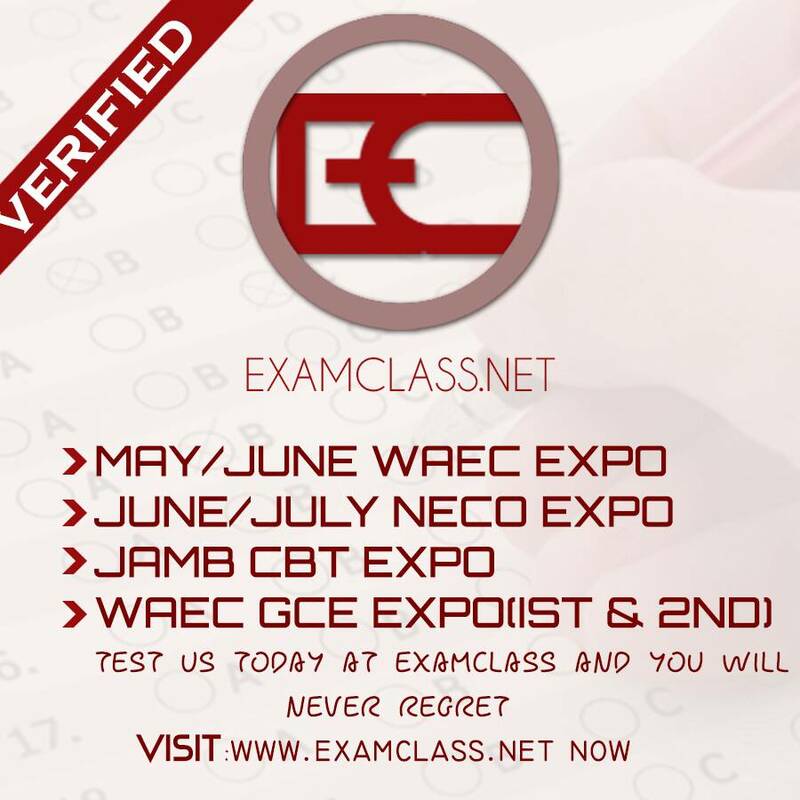 Before going into details, i will like to inform you that here on examclass.net we have provided a lot of posts on JAMB UTME Updates that will help you during the admission processes. For any Education/Admission question you can make use of the comments Section, Text Message or through our email address in the CONTACT US page. Yes, your name can cost you your admission if you spell your name wrong. I have seen students been admitted by JAMB but were rejected by the University during clearance because of their names does not correlate with other documents like 0level result certificate, birth certificate etc. Although, JAMB use to allow for change of data where you can correct your name in case you made mistake, but to be on a safer side, make sure you carefully spell your name to the JAMB official that is going to register you. I usually find it funny whenever a student says he doesnt know the course to pick. Course is not something you should pick at random, course is something you have passion for, something you have knowledge about. Dont let anyone decide your course for you. If you are having problem choosing a course, i already made a post they will help you decide the course you really want to study. A lot of student make this mistake by choosing wrong subject combinations for their course. If you want to avoid any form of mistake, then i will advise you to use JAMB Brochure, look for your course and you will see the subject combination for the course. Remember, this mistake can not be amend after you have sat for the exam, which means your admission for that year is not certain. Be wise!!! I have come to realize that students with one sitting result have more advantage than students using two sitting results. I have already made a post about the possible disadvantages of using two sitting result , you can click the link below to read it. 2019 jamb runz Also make sure your minimum grade in your WAEC/NECO/GCE is C6, anything more than that, wont be accepted by the University you choose. Dont ever make a mistake of changing your date of birth because your admission can be revoke by JAMB or by the University if they find out. Minimum age federal universities accept is 16 years old, anything less than that, might not work out. If you are 15 years old, just relax and wait for the following year or you can apply to private university if you can afford it. Do you need any help to upgrade YOUR jamb RESULT. Am here with a Great News And this year is the biggest year of my life. for the pass 3 year now I have not made my jamb . But all big thanks to God And pastor sani Adewale who work in jamb office who helped me in this jamb all hope was lost. and My Result was very poor . before pastor sani Adewale helped me to Upgraded My jamb result to 270. Am sharing this Great Testimony with all jamb Candidate who are in the same Situation I was back then before pastor sani Adewale helped me out. to those Who just Finished their exam and those who are about to write their jamb. If you need any Help from him to Upgrade your jamb result , or to help you check your result you can Contact him on this line 07083395786.i wish you all Goodluck!! !